"3-D Computer Guided Implant Treatment Planning"
We practice in a world where 3D cone beam CT scan is readily available. It is fast becoming a modality of diagnosis as well as treatent planning, and used heavily in the correct execution of precise and safe dental procedures world-wide. many foresee that it will be, if not, already is a "standard-of-care" in many communities. The speaker who has pioneered this very field will be presenting the state of the art of 3D technology, what is available, and possible in this day and age in implant dentistry. Dr. Scott D. Ganz graduated from the University of Medicine and Dentistry - New Jersey Dental School. He completed a three-year specialty program inMaxillofacial Prosthetics at M.D. Anderson Cancer Center in Houston, Texas. During this time Dr. Ganz was exposed to many different aspects of head and neck reconstruction, fabricating both intra-oral and extra-oral prostheses such as eyes, ears, noses, etc. This was followed by 25 years clinical experience (both surgical and restorative phases) with most major implant systems available today. He is a Diplomate of the International Congress of Oral Implantologists, a Fellow of the American Academy of Maxillofacial Prosthetics, and an Associate Fellow in the American College of Prosthodontists. Dr. Ganz has served as Chairperson for several committees of various organizations, and is a past member of the Board of Directors of the New Jersey Section of the American College of Prosthodontists for which he is a Past-President. He is on the staff of Hackensack University Medical Center, teaching prosthodontics and implant dentistry, is on the faculty of the University of Medicine and Dentistry of New Jersey, and past faculty of the University of Pennsylvania School of Dental Medicine. Dr. Ganz has been a long time member of Zimmer Dental's Peer Practicum Educational Program and is past faculty member of the ExperDent/ICOI Implant Prosthetic Continuum Faculty. He has also been on the faculty of many other implant preceptorship programs throughout the country including the University of Texas Health and Science Center in San Antonio, Boston University Implant Symposium, the University of Michigan, the Brookdale / NYU Maxicourse in Implantology, the University of Miami Implant Dentistry Program, and the Universidad Nacional, Federico Villareal, in Lima, Peru. Dr. Ganz's landmark book, "An Illustrated Guide to Understanding Dental Implants" available in both English and Spanish, has received wide acclaim as the standard in patient education texts, and has sold worldwide in over twenty-two countries. 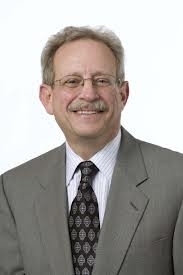 Dr. Ganz has also been a pioneer in the area of CT Imaging, CT diagnosis and treatment planning, the development of interactive multi-media presentations and educational material for the computer, CD-ROM, the Internet, and video. He currently serves as the President of the CAI Academy - Computer Aided Implantology Academy, and is on the Board of Directors of the ICOI.